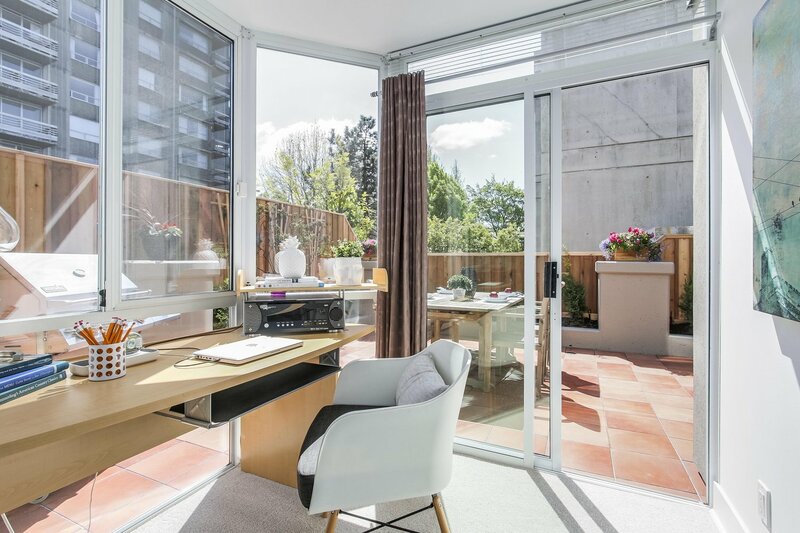 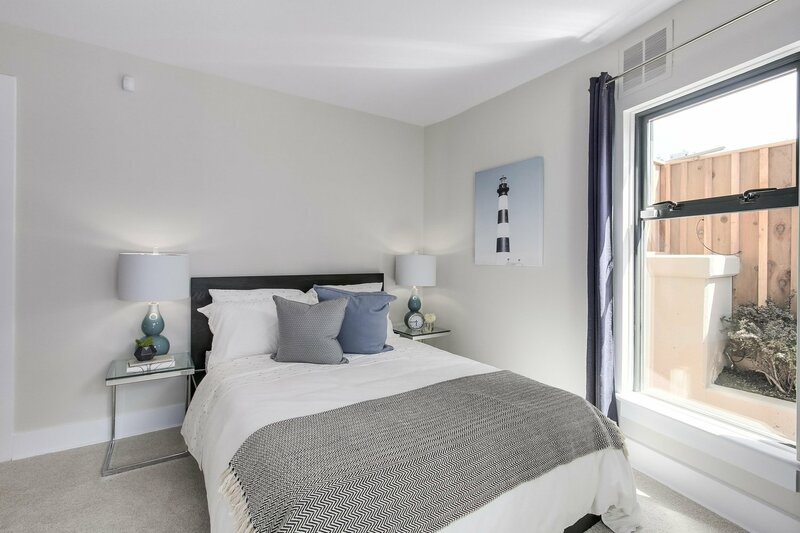 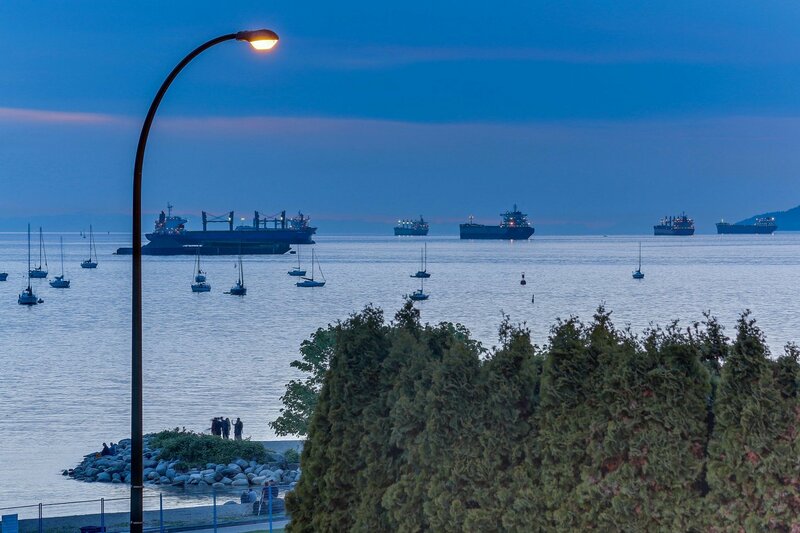 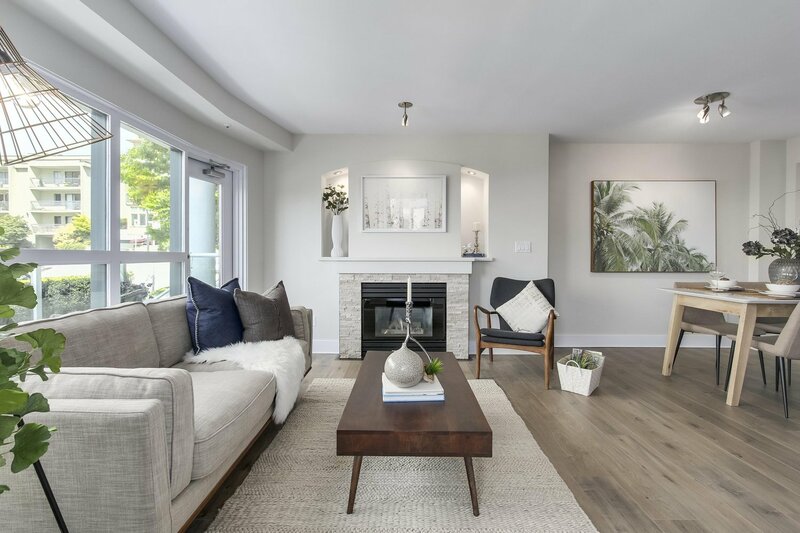 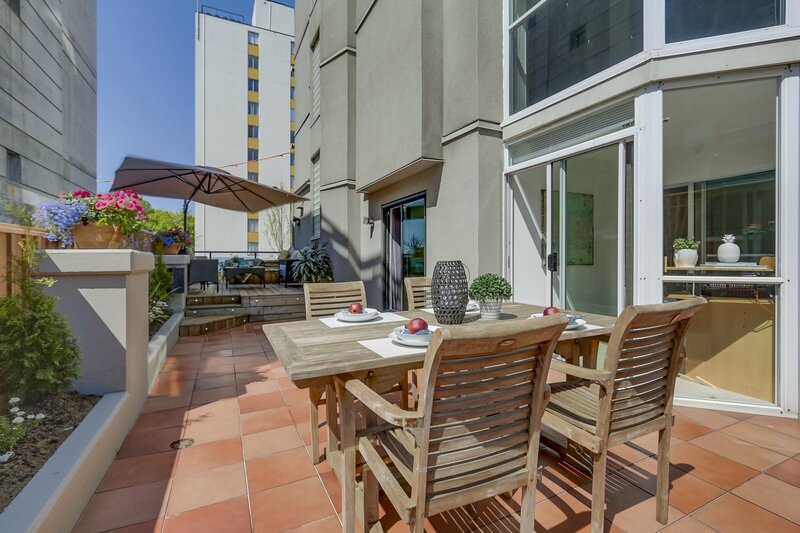 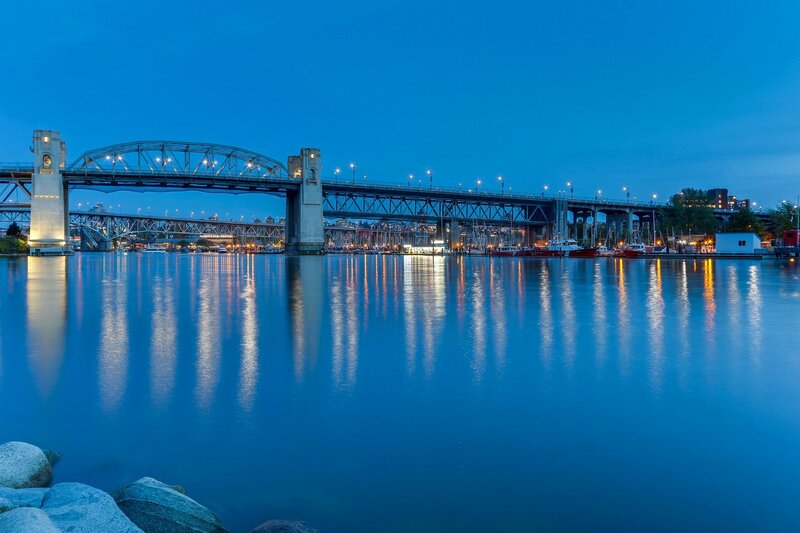 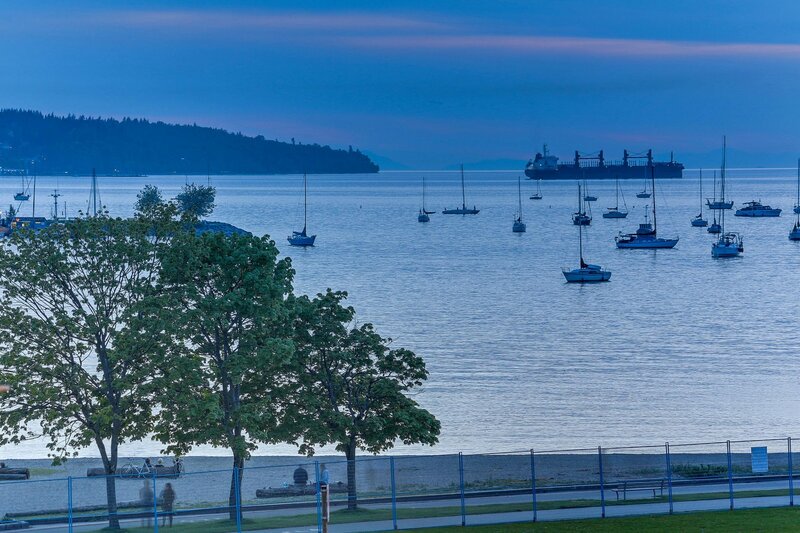 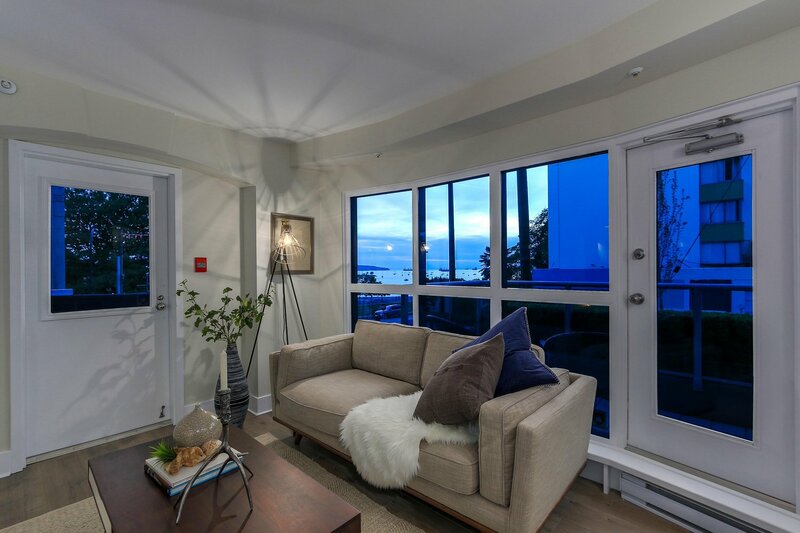 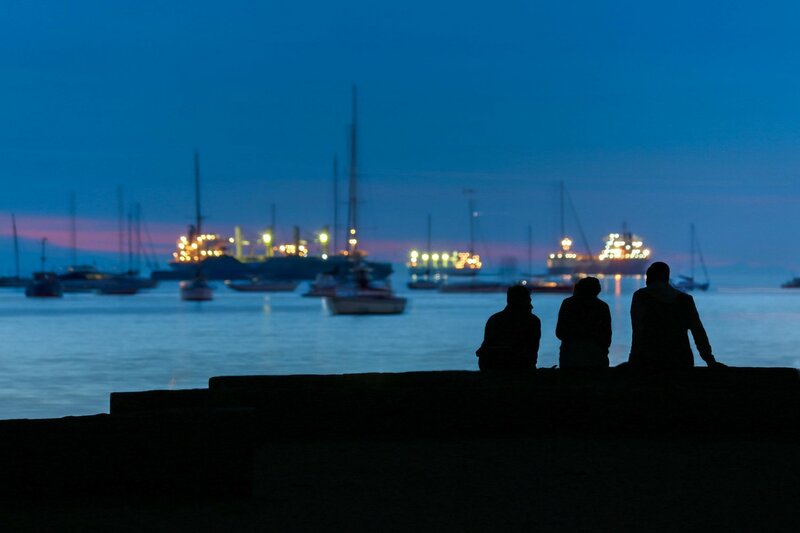 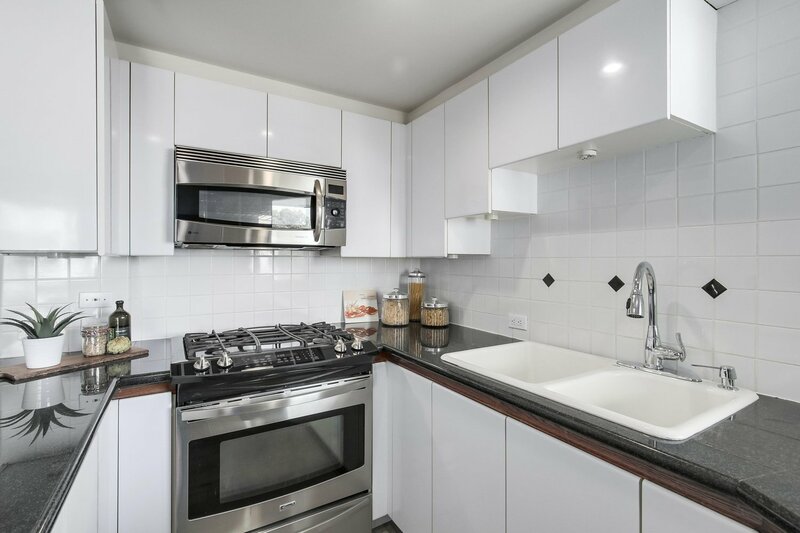 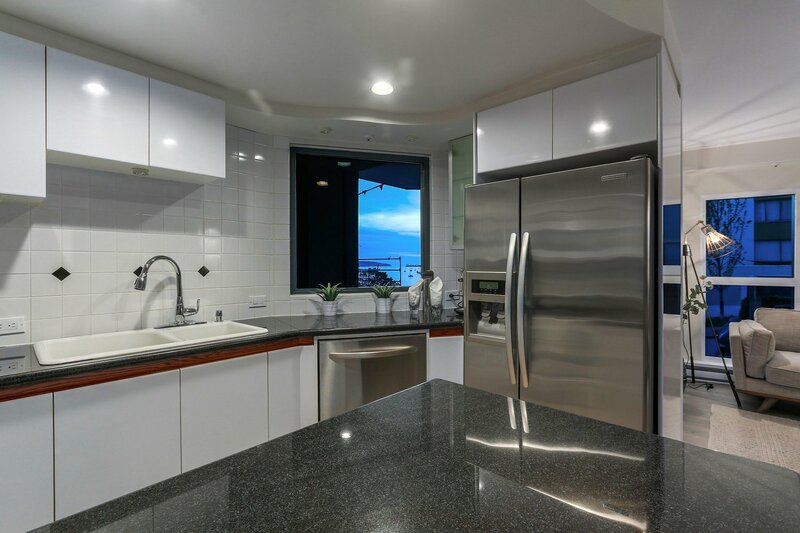 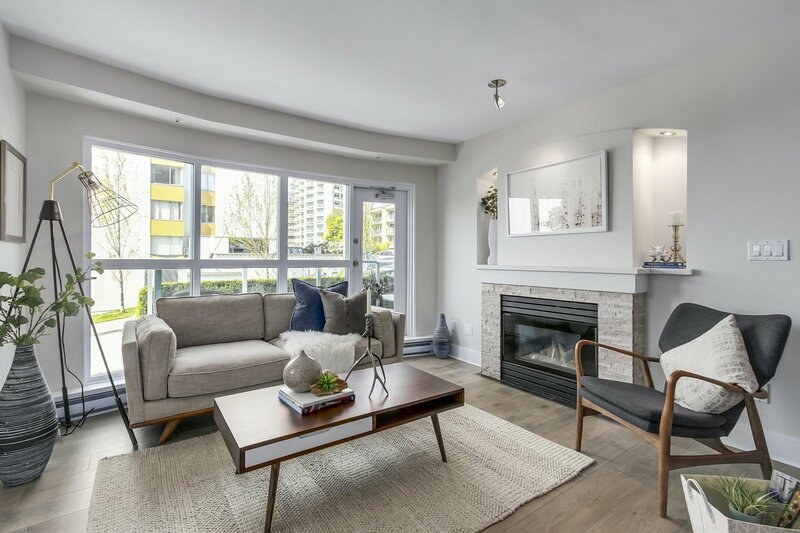 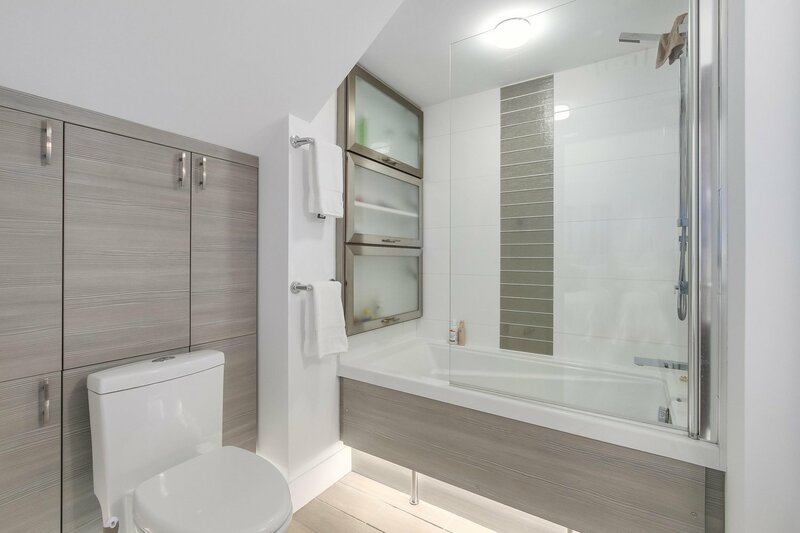 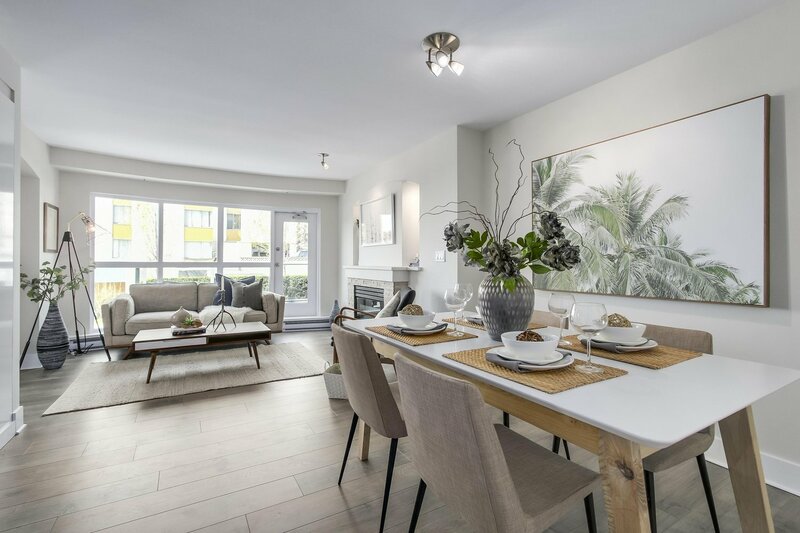 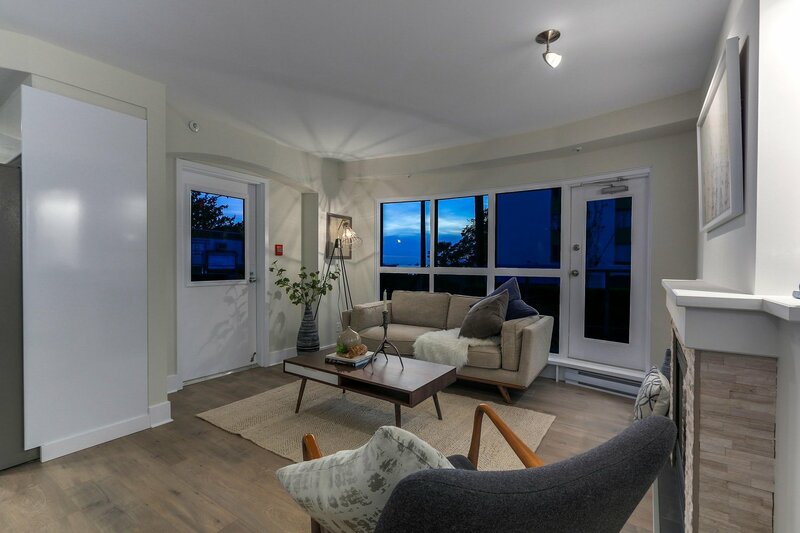 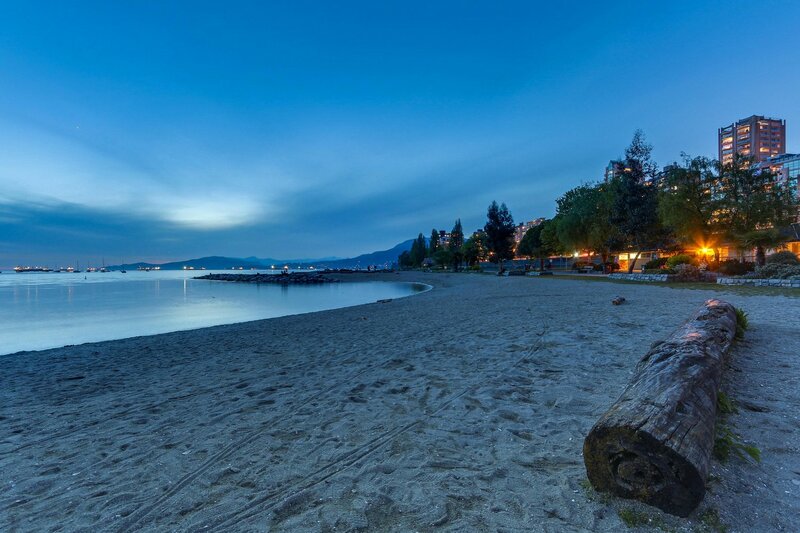 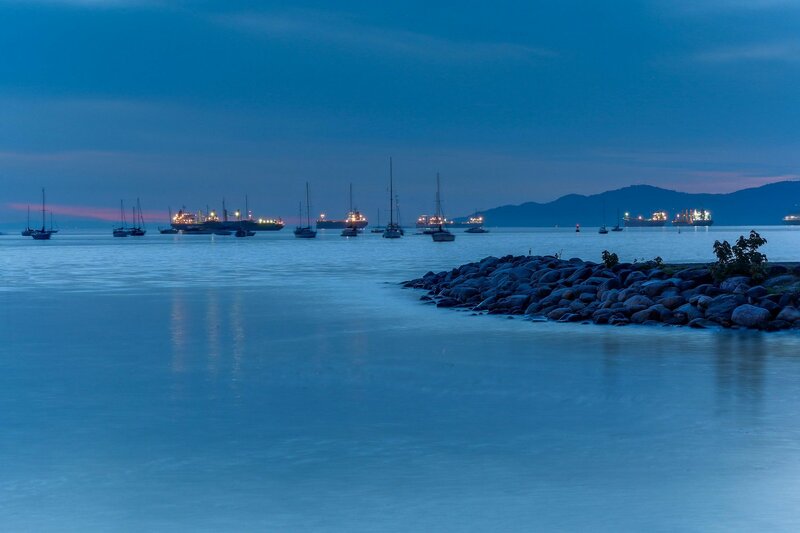 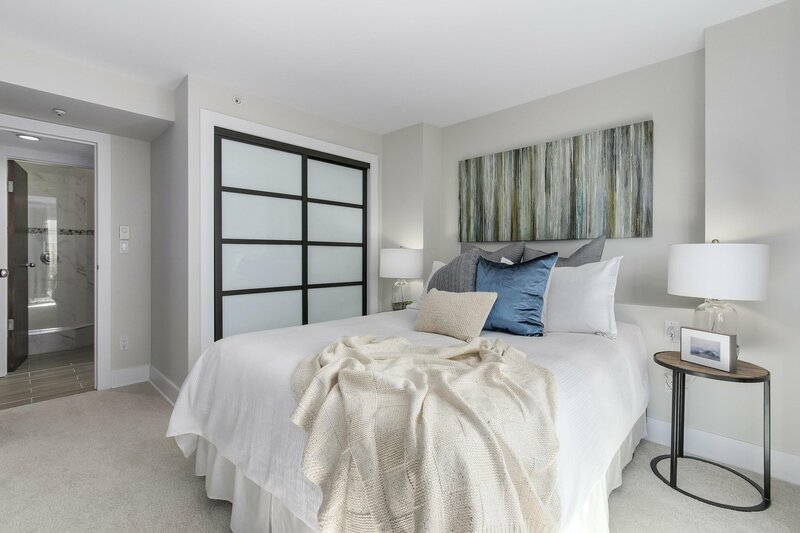 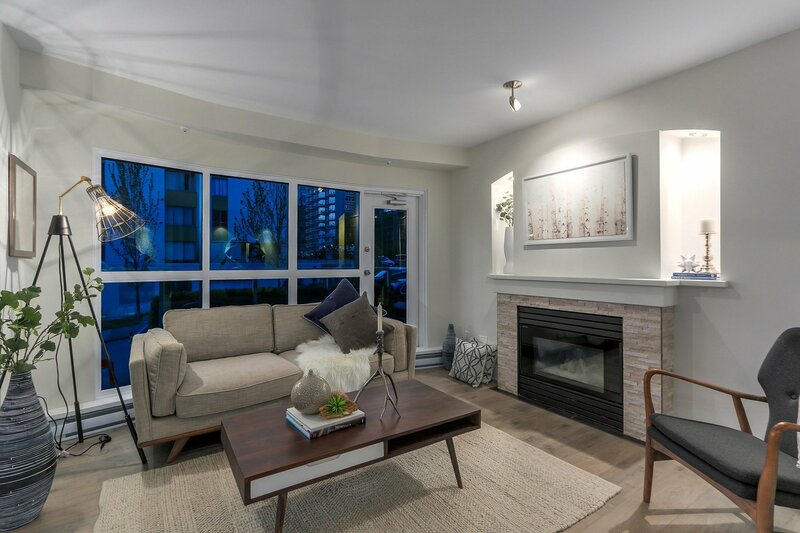 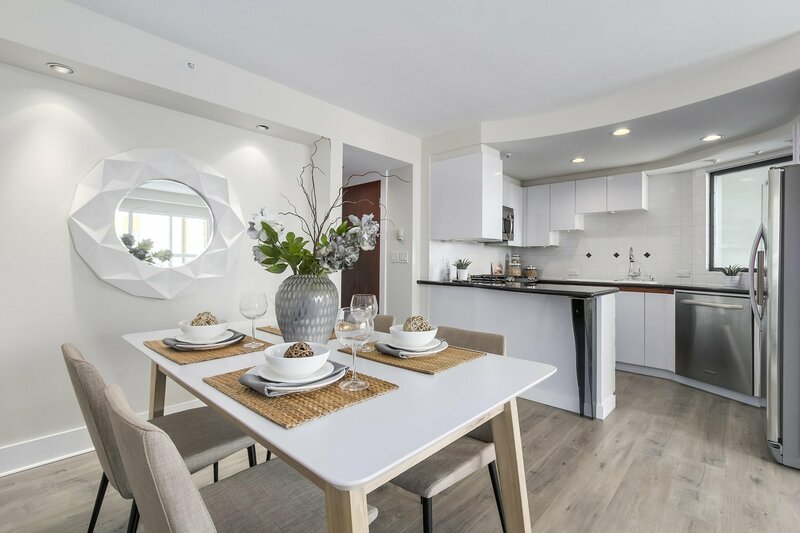 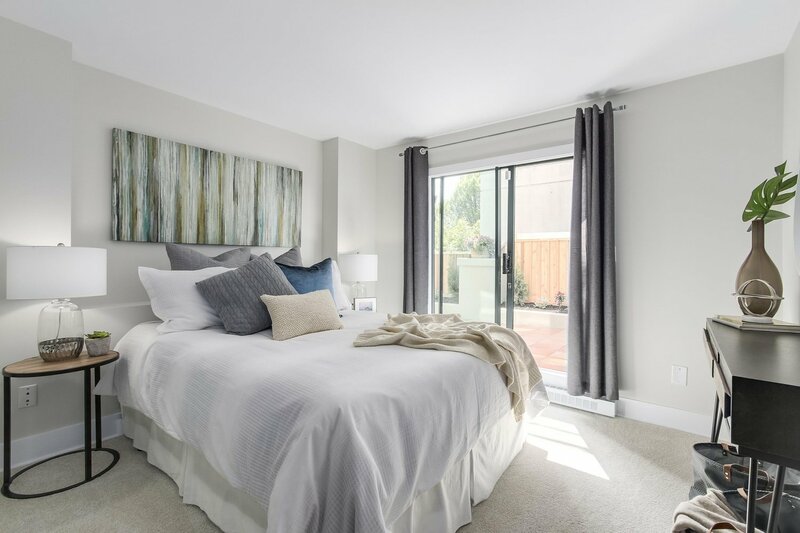 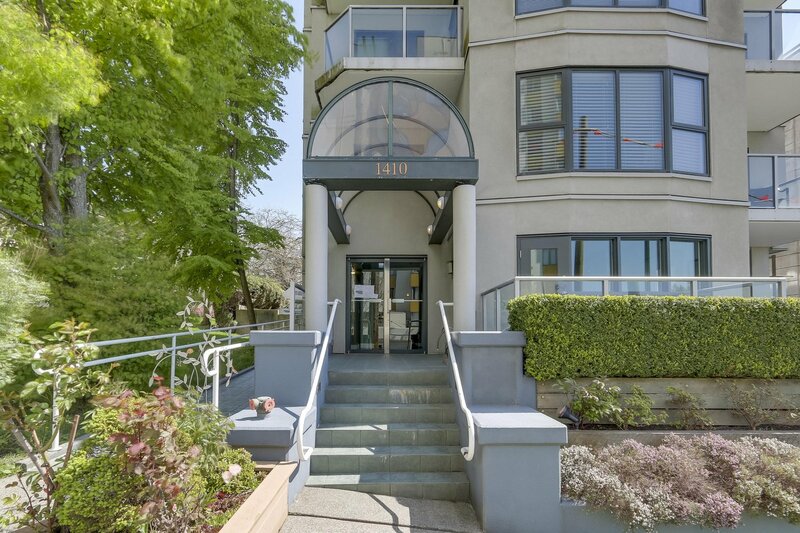 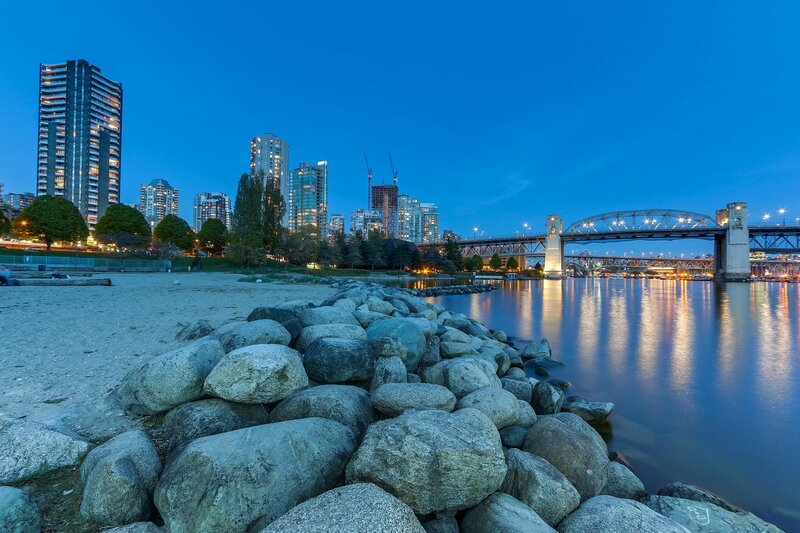 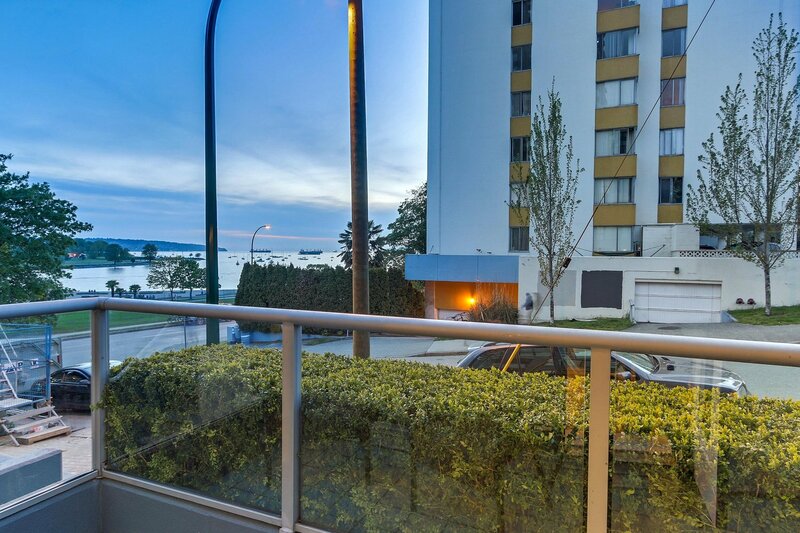 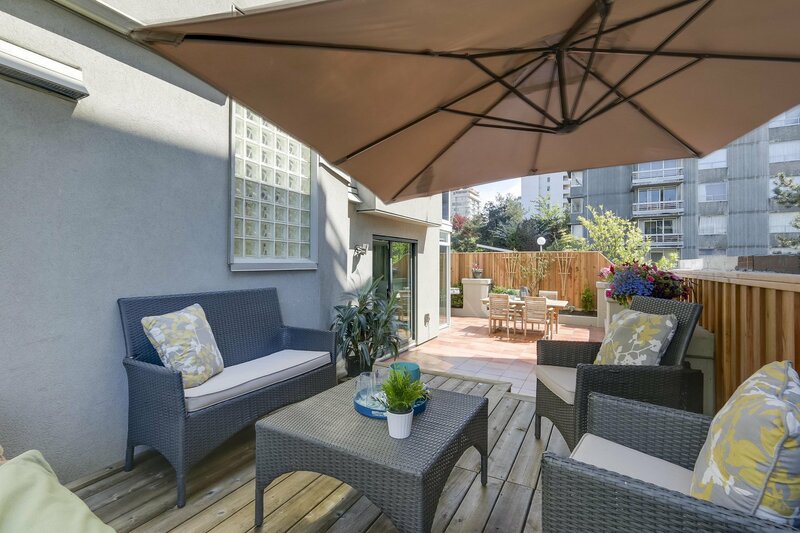 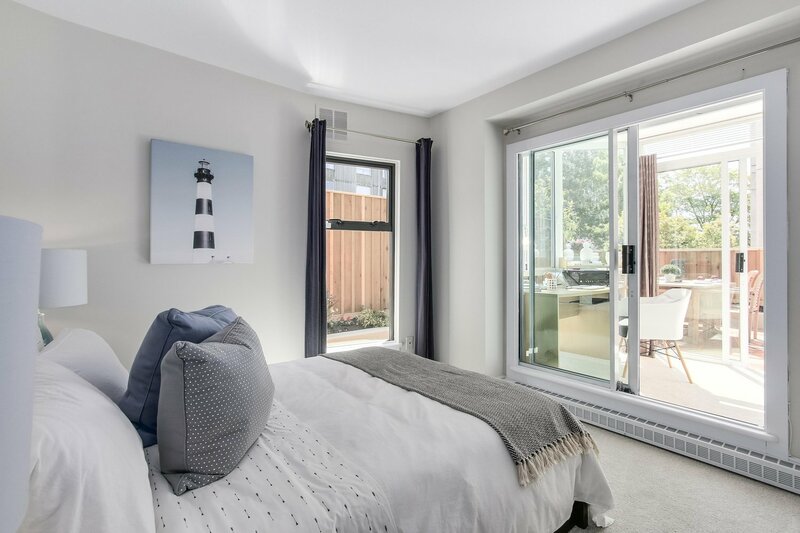 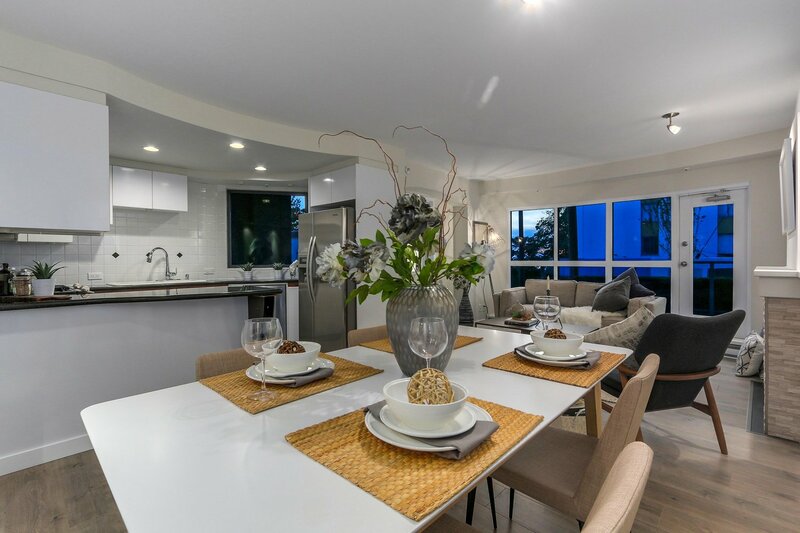 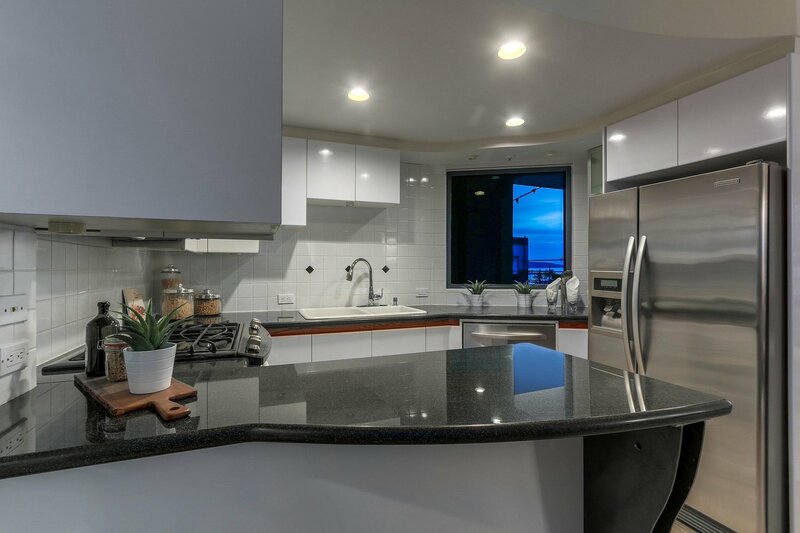 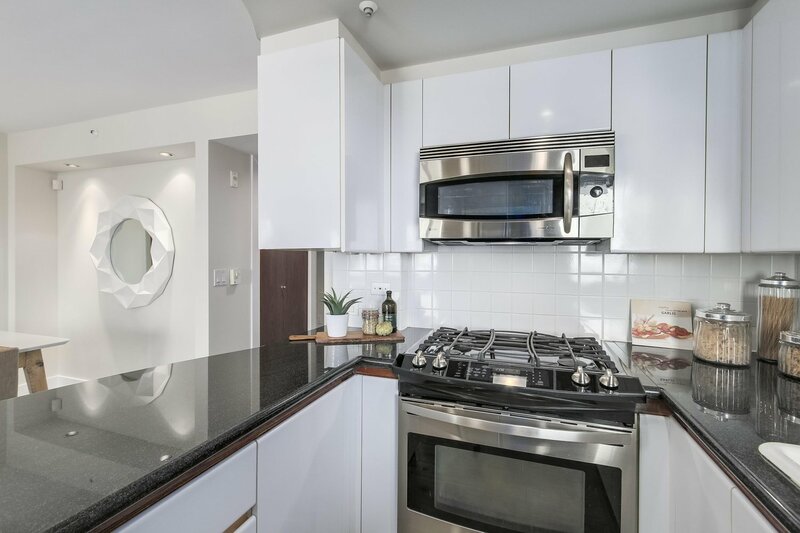 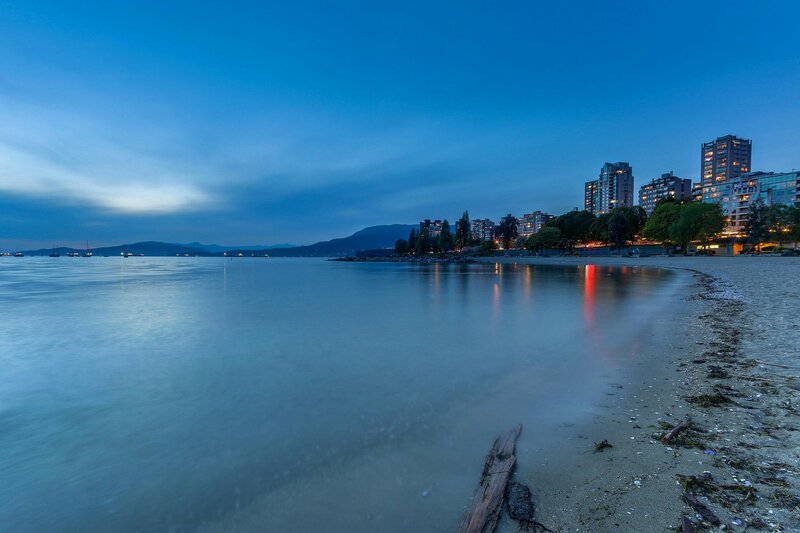 Stunning townhome just steps from the beach featuring a sunny 440sf wrap-around patio and offering SPECTACULAR VIEWS from the living room, kitchen, and patio of English Bay and Sunset Beach. 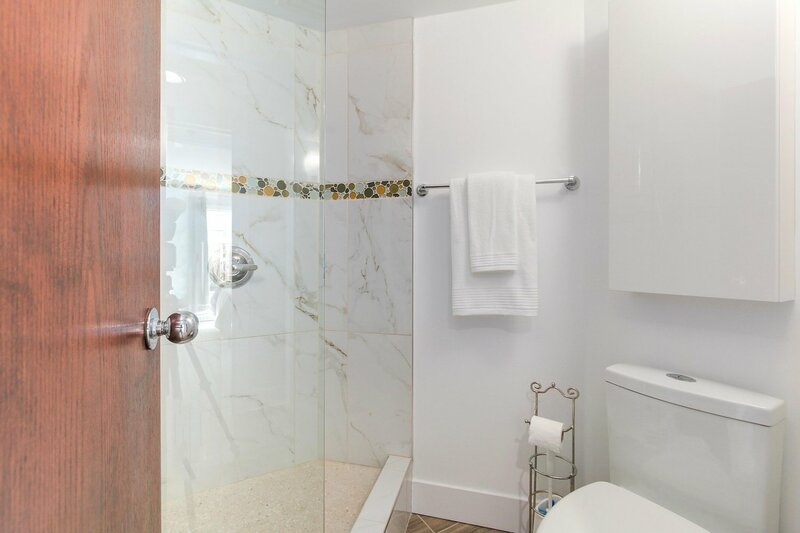 This two bedroom and solarium/office, one level home with direct street access is situated in the boutique five unit, rainscreened, concrete Il Faro development and has been extensively updated with new engineered hardwood flooring, paint throughout, and luxurious bathrooms, and features a gas fireplace, gas range, one secure underground parking stall and storage. 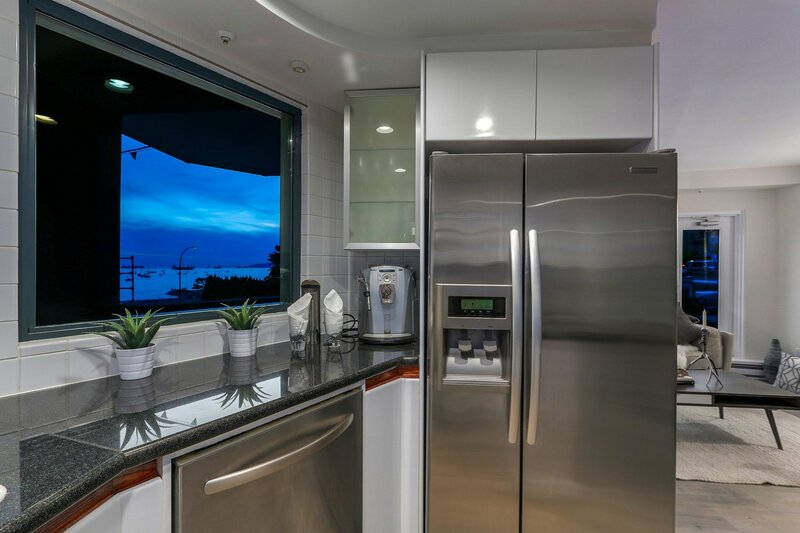 Offering the ultimate beachside lifestyle, homes like this rarely come to market. 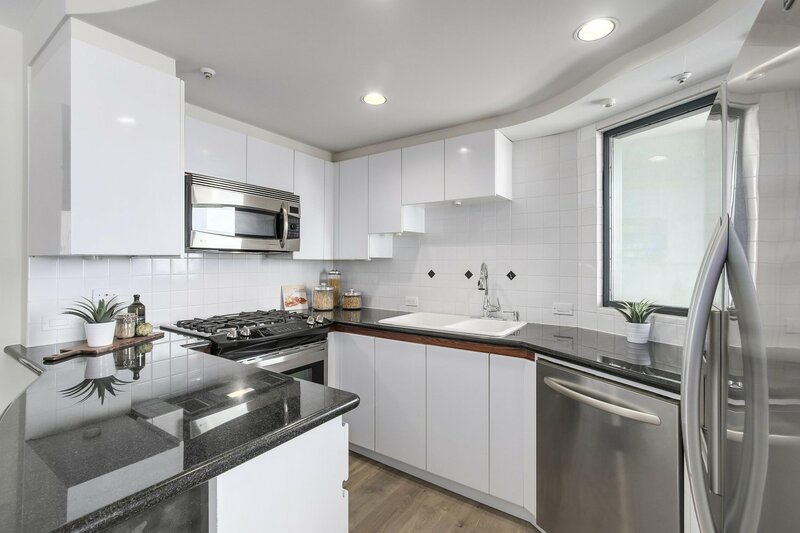 Open House - Sunday, July 15th at 2-4PM.